I am overwhelmed. I tend to get overwhelmed easily, I always have. By happiness, sadness, memories, my senses. Any of these can fill me and leave me overflowing. Right now I am, at the same time, happy, sad, scared, and excited. I am happy because we’ve just moved to a new apartment and it is perfect, and makes me feel both proud and at peace. I am sad because I have been thinking existential thoughts again, feeling bewildered with simple facts of life, such as the fact that I will never be 27 again, it is a very strange thing, when you think of it, a part of me is still my 27 year old self, how come she will never truly be alive again? I am scared because in one month and two weeks I will be sending my PhD applications to universities in the UK. I am excited because in two weeks I will be travelling to New York to visit my sister, niece and nephew, and then on to Toronto, to a gigantic history of science conference in which I will be presenting a paper. I really like this song by Lenka, because I often feel that I am everything at once, and I am often wanting to be everything at once. This sense of totality can be very productive, exhilarating, and sort of addictive. But it can also be overwhelming, causing one to stay in one’s tracks, simply staring like a deer in the headlights, unable to move, just letting feeling after feeling, thought after thought, wash over you. I want so much to be alive, to enjoy the moment, to do everything, that it has the exact opposite effect – I get so scared of not being here anymore, so scared of dying, of growing old, of not being perfect, that I miss out on so much. I would like to give this whole blogging thing another try. As you (my as yet nearly inexistent readers) may have seen I have written here sporadically over the years, but have never really turned it into a habit. I used to have a blog in Hebrew, between the ages of 16 and 25, in which I would write consistently, but ever since I closed that blog, I lost the habit. I think one of the reasons for that was that I didn’t know what kind of blog I wanted to write. Should it be a blog about books? A blog about art? Should I keep it professional in case anybody from the academia ever read it, or can it also be a place for unleashing thoughts, anxieties, bits and pieces of my every day? All of this uncertainty caused to procrastinate, because that is my pattern – I want things to be perfect from the start, I find it very hard to accept that there is usually a period of adjustment, the sketching before the painting, and when that happens, when the thing is not perfect from the start, I back away. So now, on my 456787 try, I am thinking that why choose? Why not do everything at once? So welcome, yet again, to my blog. 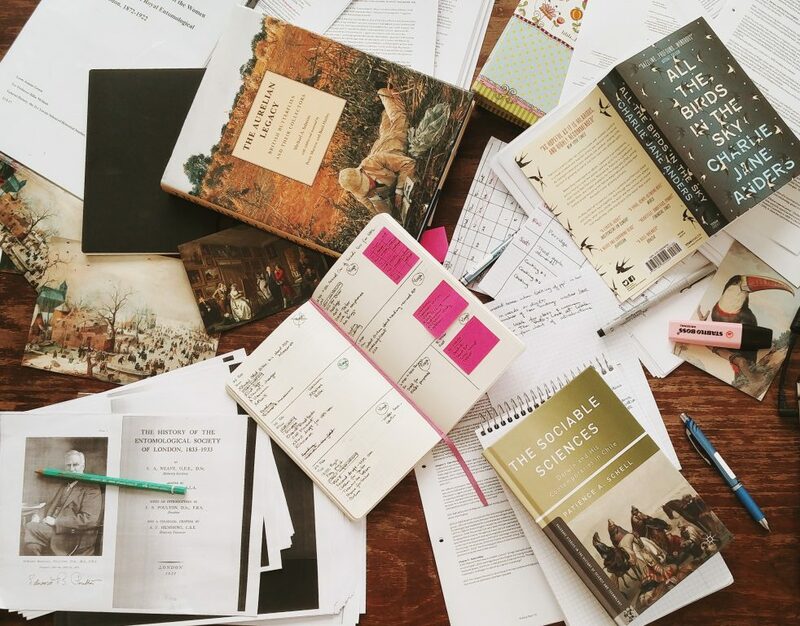 This is my space, my world, in which I will write about books, clothes, academia, the history of science, cats, and my thoughts. My name is Leore Joanne, but I usually go by Jo, I love books, fantasy and sci-fi, history, the north, all animals and cats most especially, and although I am often happy sometimes I get pretty depressed, existential, and even slightly nihilistic. This blog is meant to help me cherish and enjoy the moment.